Homework has many benefits for students including learning how to work independently, staying organised and taking responsibility for their part in the educational process. It also gives them a chance to review the lesson and go over the material again. 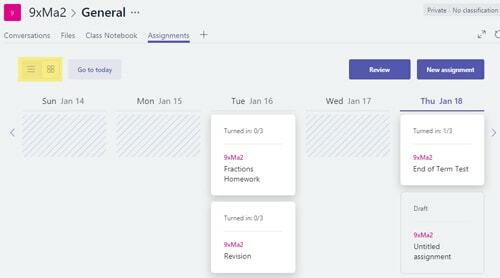 Assignments give teachers the ability to track student progress and to see if the student understands the lesson content. Microsoft’s Office 365 now provides another educational tool in their arsenal of productivity apps. 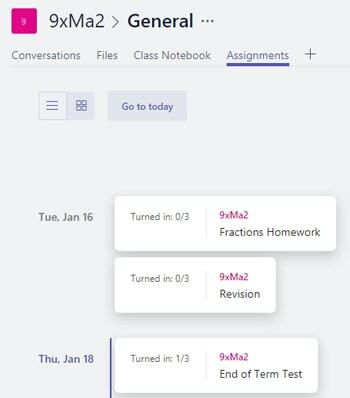 Teams is a collaboration tool for your classes with the ability to have discussion threads, document sharing, class notebooks (see my previous post) and assignments. In this post I’m going to focus on the assignment aspect of teams. You can follow the video guide or the blog post below, I hope this helps you get the most out of Microsoft Teams! Inside your class, click on the “Assignments” tab to view a timeline of all the set assignments for this group. You can select either a horizontal or vertical timeline view of the assignments using the view selector (highlighted yellow below). 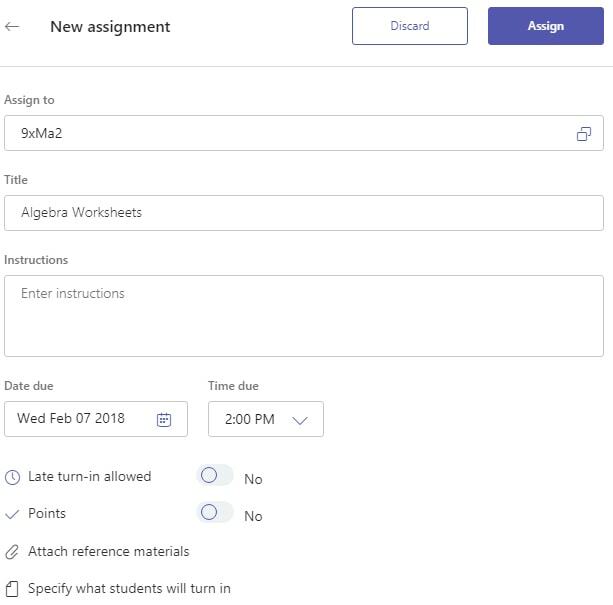 To start setting work for students, click the “New assignment” button. Title: This is the title of the assignment. Instructions: Include a description here to help the student complete the assignment. Late turn-in allowed: If this is enabled, students can still hand-in work after the due date. This is required if you are using class notebook pages. Points: Turn this on to allow a mark allocation. Currently these are only available as a number score. Documents can be added from OneDrive, your computer or from the OneNote Class Notebook. 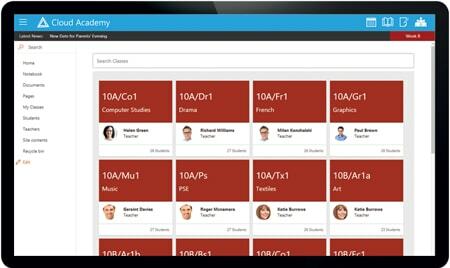 We are hopeful that SharePoint and other class teams will be added to this soon! There are two options for attaching these resources. These documents are for the student to view as part of the assignment. You might include a PowerPoint, links to useful websites, etc. Documents uploaded in this section can be edited by the student and submitted back as part of the assignment. This is particularly useful for things like worksheets. When you have finished the assignment, you can either save it as a draft or assign it to the class. 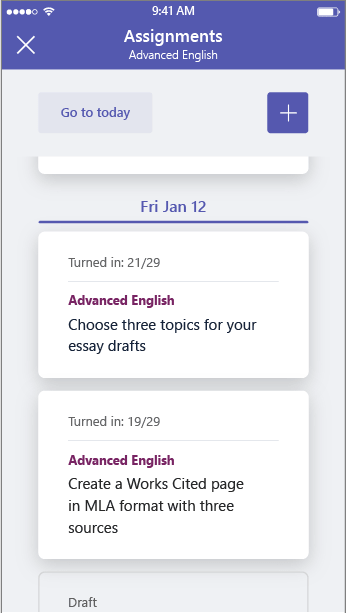 As soon as this is assigned to the class, it will appear in their assignment timeline and they will get a notification on their team mobile and desktop apps. Use the review button to bring up the assignment timeline and assignment submissions. Select the relevant assignment from the timeline to show the student work. Student work: Links to files that the student has returned. Date turned in: The date and time that the student submitted their assignment. Feedback: Some written feedback for the student. Points: If you have chosen to enable this in your assignment, you can give the student a grade. Students will not be able to see your feedback or grade until the “Post” button is clicked. Click the “Export to Excel” button to download a spreadsheet of the assignments. The grades spreadsheet shows all the assignments set to this class over the school year. It optionally shows grades, if enabled per assignment. No more manual marksheets! You could use this data to import or fill in MIS marksheets quicker. One of the best ways to engage with students both inside and outside of school using Teams is to encourage them to use the mobile app. Students get instant notifications of any mentions, homework or graded assignments. Teams is free for schools, check you have the license enabled to start using it. At Cloud Design Box, we can provision teams from MIS data and create an engaging and simple dashboard to access team data in SharePoint. 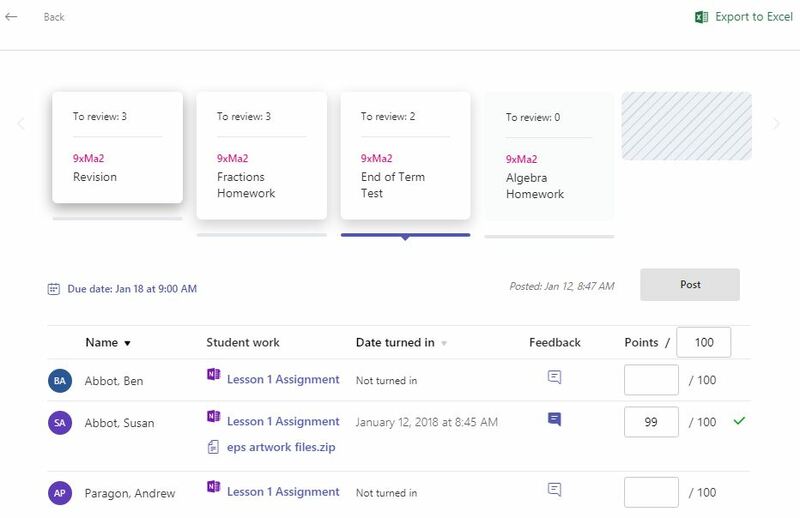 We can also create student folders inside team sites and extend the experience even further, making it easier and increasing student and teacher engagement. You can find out more information on our website https://www.clouddesignbox.co.uk/. This entry was posted in Assignments, Class Notebook, Education News, Microsoft Classroom, Microsoft Teams, Microsoft Teams for Education, Office 365, Office 365 Video, OneDrive, School Data Sync, SharePoint in Education, SharePoint Online, SharePoint Online Permissions, Tony Phillips, Uncategorized and tagged Assignments, Bromcom, Class Teams, Classroom, CMIS, Grade, How to guide, iSAMS, Mark, MIS Integration, Office 365, School Data Sync, Schools, SDS, Setting Assignments, SharePoint, SharePoint and Teams, SIMS, Student, Teacher, Teaching and Learning, Teams, Video on January 18, 2018 by Tony Phillips.